RAIN Eugene – Eugene Is Ready For An Innovation District! RAIN Eugene / Featured / Eugene Is Ready For An Innovation District! In recent months more attention has been focused on the idea of Eugene being able to develop an Innovation District. RAIN Eugene has posted a couple of articles about this topic–one on what an Innovation District is and the background of the concept, and another one about how Eugene compares to other cities of similar size who are also developing Innovation Districts. Here at the University of Oregon, the School of Planning, Public Policy and Management within the Institute for Policy Research and Engagement, has been studying the issue. The school and the institute are perfectly poised to research this issue because is an interdisciplinary organization whose goal is to create links within transportation, economic development and environmental sectors to help solve local issues and improve the quality of life for Oregon residents. Developing an Innovation District will help the community prosper through investments in things the community cares about such as social services, education, arts, and affordable housing. The Brookings Institution led the thinking about Innovation Districts with a 2014 report. In February 2018, the Brookings Institution published a guide to assessing an Innovation District through five important elements. Critical Mass – Where are the region’s highest concentrations of innovation assets? What concentrations of economic activity, physical locations of clusters and regional connectivity exist? Innovation Capacity – What is the district’s current ability to leverage and align its distinctive advantages to support and strengthen firms’ innovation capacity? Diversity and Inclusion – To what extent does the district has an inclusive, diverse and opportunity-rich environment? Quality of Place – What physical and social assets exist? To what extent does the district attract a diversity of firms and people, increase interactions, and accelerate innovation outcomes? Leadership – Does the district have the leadership necessary to succeed? For anyone who knows Eugene and its history with its downtown, it’s no surprise that downtown has changed a great deal over the past several decades. In 1969, Valley River Center opened, which drew people away from the downtown core. In response, city leaders created the Eugene Mall, a pedestrian-only zone in the middle of downtown. The mall included restrooms, kids play areas and water features. By 1995, nearly all of the mall had been re-opened to automobile traffic, and by 2001, the remaining car-free zone had disappeared, and the downtown area looked much like it does now. By and large, the downtown is now more vibrant and active than it has been in decades. But there are some negatives such as a perception among residents of it being a dangerous place due to homelessness and vagrancy. Now’s the time to build on the success we have achieved, and make a plan to address the negatives. The concept of an Innovation District will allow Eugene stakeholders to make a plan for the future based on everything about the downtown that could be considered an asset, and make a plan to improve the features that could be considered drawbacks. The Innovation District in Eugene is projected to encompass nearly 1.5 square miles of downtown in an area that currently includes the UO, the Knight Campus, the downtown Park Blocks, EWEB’s riverfront development property, the downtown high-speed fiber internet network, grocery stores, restaurants, bars, arts and arts-advocacy groups and performance venues. This area contains nearly a quarter of Eugene’s jobs. The school and institute utilized those five elements to assess Eugene. Critical Mass – The downtown core has a concentration of assets that are crucial to the success of an Innovation District. Upcoming investments such as the Knight Campus will contribute to that. There is a density of jobs in the area along with enough accommodations to attract a workforce. Eugene’s downtown core has high-growth job sectors, industry clusters, and access to alternative transportation. The assessment was positive about Eugene’s Critical Mass. Innovation Capacity – The University of Oregon and Lane Community College are helping increase the awareness of and access to innovation in the downtown core through their business programs. Additional resources located downtown such as Rain Eugene, the Technology Association of Oregon, the Eugene Area Chamber of Commerce, Eugene schools, and Lane Workforce Partnership are also accessible from within the proposed Innovation District. While the assessment was positive about Eugene’s Innovation Capacity, it was noted that Eugene has a much lower rate of patents being issued when compared to the United States as a whole, and a somewhat lower rate when compared with the rest of Oregon. The UO recognizes this disparity and has a major effort underway to support research that can more readily lead to commercial applications. The soon-to-be-constructed Knight Campus will further develop this strength. Diversity and Inclusion – Diversity and inclusion are key drivers of successful Innovation Districts. Encouraging a variety of points of view and providing opportunities that enrich the lives of all residents is a key goal of an Innovation District. An inclusive Innovation District looks at ways to help close the opportunity gap for everyone. The survey shows that Eugene’s overall population, as well as its racial diversity, is increasing. And diversity is an important part of problem solving–a 2017 study conducted by the National Bureau of Economic Research shows that if women, minorities, and children from low-income families were to invent at the same rate as white men from high-income families, there would be four times as many inventors in America as there are today. Quality of Place – Utilizing the leadership and vision of an Innovation District can help address issues such as housing, social services, and business support systems. Quality of Place also means having access to transportation options and being able to leave the work desk and easily go to a cafe, restaurant, or other off-work sites for meetings, which is easy for most workers in the downtown core. Some key improvements in the downtown area over the past two decades are the construction of a new public library, LCC Downtown Campus, and LTD transit station. More food and cultural programs are taking place downtown than ever, such as summertime programs that bring music and art to public spaces. A high-speed internet network is increasing the potential of current and future businesses in that area. Developments around the downtown core such as mixed-use developments near the Fifth Street Public Market will provide apartments, a hotel, and storefronts. The city of Eugene’s plans to develop the 16 acres of riverfront property that run right through the city (the former steam plant) will more effectively connect the city with the riverfront. And of course, the UO’s Knight Campus will connect the UO and the city as a whole with the greater global scientific community. Leadership – While an Innovation District is a collaborative effort that does not require a plan, a planning process, or city council action, the process does need a core group to see decisions through based on the inclusive representation of key community interests. Eugene has formed a leadership advisory group for the Innovation District and that group is working on a plan. The assessment noted what many people already knew or felt–Eugene does have the ingredients necessary for an Innovation District and there is already broad support here for this concept. Based on the criteria of the Brookings Institution and the assessment, here are the recommendations for next steps. The leadership group will assess gaps and a collaborative plan will emerge this spring. Get buy-in from community shareholders: city leaders, county government, business groups, entrepreneurship support systems, technology associations, and more. 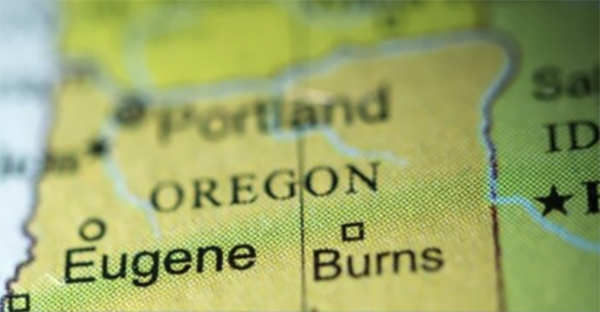 Develop a vision that is reflective of Eugene’s values. Develop talent and technology through access to programs and partnerships such as RAIN Eugene, the sector strategies led by Lane Workforce Partnership, economic development organizations, and the UO. Promote inclusive growth that invites everyone to participate. Think of the Innovation District as being an area without firm boundaries. While this report looked at a clearly defined area, there is innovation and resources outside of that area too. The report suggests thinking of the district as a gradient with the highest concentrations of activity in downtown and at the UO. Develop a marketing and branding strategy to establish and define the district. Overall, Eugene is ready for an Innovation District, and this report proves it.